For many truck, SUV and Jeep owners keeping your vehicle safe and protected from thieves and vandalism is of utmost importance. However, since these vehicles are always in demand, the chances are many 4×4 vehicle owners will experience theft and vandalism. Here are a few ways to reduce the risk and add some extra protection. 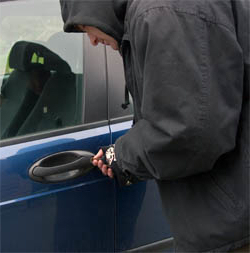 Many times professional thieves look for vehicles that are easy targets- such as vehicles that are parked where there is limited lighting, trucks with their doors unlocked, etc. Make sure you take care where you leave your car parked and that you obviously leave your doors locked. In addition, add some easy to view theft deterrents such as steering wheel locks or large badging that warns of an alarm system. In addition, if you have an expensive stereo, look for ways to conceal the unit when not in use- such as removing the head unit or face plate and covering up any sub woofers or amplifiers. Many newer cars now come equipped with Lo-Jack or other GPS navigation devices that can send a signal to the police department or other agency to not only inform them that your vehicle has been stolen, but to alert them exactly where the vehicle is. Many times, a truck can be remotely shut off rendering it useless to a thief or it can give off its location so a police officer can be dispatched. While general alarm systems are a good deterrent, newer models can call your phone when they are unauthorized to start. In addition, these alarm system can be easily activated to shut off the ignition rendering the vehicle useless and also contact the authorities so that a police officer can apprehend the thief. If you own a pick up truck, SUV or Jeep, besides being able to go anywhere with your 4×4, you also usually have plenty of utility to haul cargo. 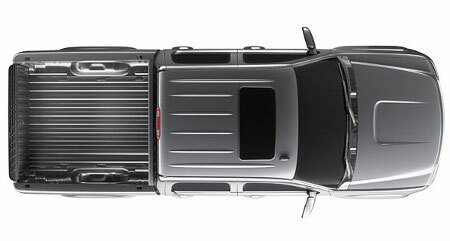 While not all 4×4 vehicles offer the convenience of easy cargo hauling- many do. And if you haul cargo often or are looking to purchase a vehicle in order to do so, here are some tips on hauling and securing cargo safely. First off, your truck can only haul so much weight in its bed. So make sure you read the owner’s manual and only haul what is recommended. Anything over the limit and your truck may have problems braking, with acceleration and even burn out the transmission. So the first rule of thumb is to haul what is reasonably capable for your vehicle. Keep in mind the elevations that your vehicle will have to climb. Even with a regular load, if you are climbing up a hill, you can put undue burden onto your vehicle and damage it. Today, with better designed straps, it is easier and much safer to secure a wide range of items in your truck bed. Before setting out on your journey, check your straps and the load. You don’t want items moving back and forth or too much slack in the strap- if you ever hit a big bump or are in an accident, your load and truck can be damaged. Just like big rig hauling, make sure you balance your load when hauling heavy items. A heavy load that is balanced incorrectly can cause your suspension problems and affect handling. In extreme cases, it can even cause you to tip over if going around a very sharp corner. Besides the main lift truck unit, you can find many options and attachments to fit your specific warehouse, industrial or commercial needs best. Following is information regarding tire types, attachments and safety features that are available with most lift type trucks. There are two main types of tires that are generally sold for lift trucks; they include cushion tires and pneumatic tires. 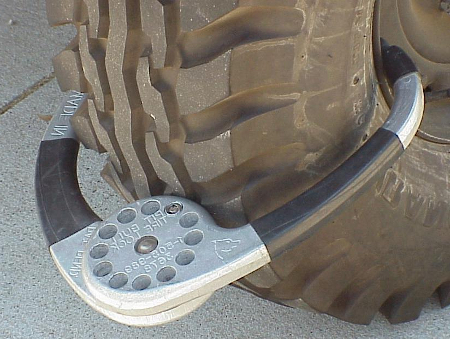 Cushion tires are solid tires; they can come with tread or without. They are made specifically for indoor uses and require no air. Pneumatic tires are usually the standard and are perfect for indoor or outdoor use. They are great on level or irregular surfaces, however since pneumatic tires raise the center of gravity for their trucks, they have a reduction in their lift capacity. Attachments are extremely popular with lift truck owners and they can add extended or specialized functionality. There are a wide range of attachments available; here are the most common. Masts can come with a variety of sections usually in single, double, triple or quad sections. In many situations, if you are lifting a pallet or load a certain height, your masts will come already loaded with the proper amount of sections. Generally speaking, the more masts a lift truck has, the more stable the load will be at extreme heights- cutting down on the wobble factor. While sideshifts are attachments, they normally come standard with most lift trucks. A sideshift allows the fork carriage a little lee-way both left and right to accurately place the load. Sideshifts are extremely effective and increase productivity levels making loads much more flexible to place. This attachment allows you to manipulate the distance between the forks on a mast. If your operation has many different varieties of pallets, this attachment can be extremely useful. A slip sheet attachment is used where a sheet of cardboard or plastic are used instead of standard pallets. Slip sheet attachments include a push and pull mechanism that easily attaches to the slip sheet and pulls or pushes the load. Drum handling attachments make it extremely easy for your lift truck to transport 55 gallon drums. It should be noted that there are also drum handling attachments that can carry more than one drum at a time. A fork extension easily slides over the existing fork to enable the lift truck to pick up longer loads. Used in warehouses or environments where the height of the load or rack is already predetermined and can be present into the lift truck. It should be noted that the above attachments must be approved by OSHA to be used for commercial and industrial applications. Besides all attachments being reviewed by OSHA, other safety features regarding lift trucks are available. A roll cage protects the operator from falling items or from items that move abruptly during transport or if a crash has occurred. Dead pedals require a pedal to be depressed in order for a lift truck to operate. If you release your foot from the pedal, the lift truck will come to a smooth stop. Truck get stolen every minute. Expert thieves need only a few seconds to open your truck. They can easily bypass the alarm system you have installed and drive away freely. Then you ask why it was stolen when you just installed the latest truck alarm system. Truck alarms and anti theft device are from the opposite end of the light spectrum, with steering bolts a distant cousin. Truck alarms and bolts are merely deterrents; they only delay the process by a few seconds and cost the thief a few calories. Anti-theft devices effectively prevent thieves from taking your truck by disabling the ignition system every time the truck is forced open. Disabling the ignition system makes it impossible to hotwire the truck, even by the most experienced truck thief. For total truck protection, go for anti-theft devices. They are professionally tested to be the most fool proof anti- truck theft device that no one has outsmarted yet.